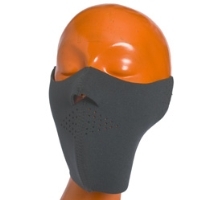 Neoprene half face mask, velcro closure. One size fits most. Black only.